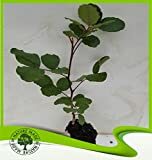 Carob tree for sale – Easy plant to grow with edible pods, mostly grown for the ornamental flowers and for the leaves, planting in cold area spring to autumn in warmer can be all year round, better to buy plant, grafted tree, male and female plant or another option to start from seeds yet more challenging. 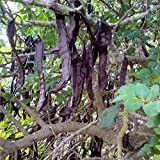 Carob tree for sale – When is the best moment to buy Carob tree? Buy carob tree in spring or in the autumn (not in cold places).